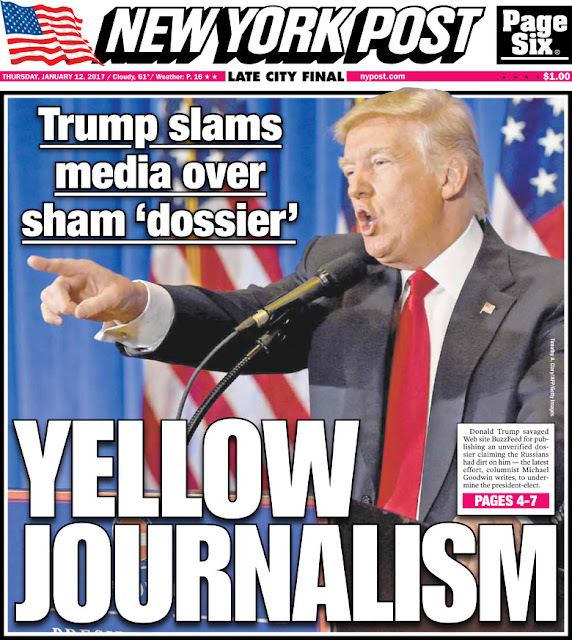 Today's New York Post cover on President-elect Donald J. Trump's reaction to rumors the Russians have compromising information about him. A Daily News front page from October. Just think. 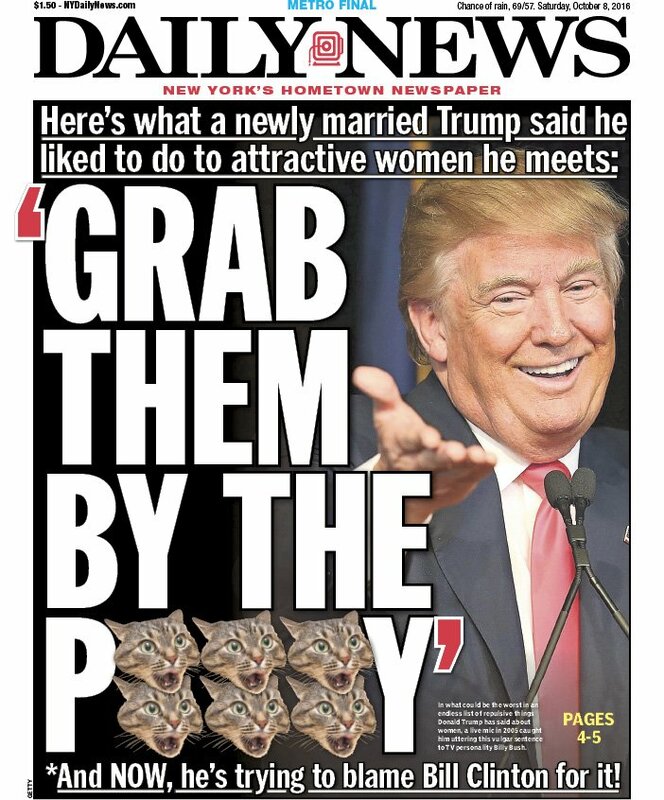 In eight days, the man who said this about women will be sworn in as president of the United States. The Record's short memory for how Governor Christie tried to sabotage the Affordable Care Act in New Jersey is a disservice to readers. Today's Page 1 story on Christie demanding that health insurers cover treatment of drug addicts for up to six months ignores how he refused to set up a state exchange when the federal health-care law took effect a few years ago (1A). That reduced New Jersey residents' choice of insurers, compared to New York and other states where governors set up exchanges for the purchase of health policies. New Jersey residents, along with those in more than 30 other states with Republican governors, were thrown into the overburdened federal marketplace, leading to confusion and delay. At a news conference on Wednesday (1A), President-elect Donald J. Trump refused to answer a question on whether anyone connected to him or his campaign "had any contact with Russia leading up to or during the presidential campaign," as The New York Times put it. "The country needs a clear answer," The Times said in an opinion column today. Meanwhile, a Record editorial on President Obama's farewell address to the nation from Chicago lists only the Affordable Care Act among his accomplishments in office (8A). Take a look at a list from Sen. Patrick Leahy, a Vermont Democrat who noted "all of this was accomplished in the face of unprecedented obstruction from Republicans bent on ensuring his failure." Addressing climate change with the historic Paris Agreement"
Staff Writer John Cichowski, whose grip on reality has been the subject of speculation for years, continues to stray far from his commuting beat (1L). The so-called Road Warrior begins his column with a man whose enormous Cadillac Escalade broke down on the New Jersey Turnpike, but who rolled up a $1,500 storage bill because he waited two weeks before he went to get it. Then, the column devolves into a quiz, including a question on which New Jersey city runs its own subway. None of this helps North Jersey commuters, who fight over rush-hour seats on trains and buses into Manhattan or face increasing traffic congestion at the Hudson River crossings.